Lavender oil is one of the most popular essential oil used in aromatherapy, and it’s well-known for inducing relaxation and relieving stress. It’s also one of the most versatile oils, and its many uses have been backed up by medical researchers around the world. In addition to providing mental health benefits when used as aromatherapy, lavender oil also has a place in your first aid kit as a remedy for burns and minor wounds, and it works as a natural antihistamine to control allergies. You can also keep it in your bathroom to help with acne and boost hair growth. The active phytochemicals in lavender oil modulate regulatory systems in your brain when you inhale the oil, giving your mood an instant boost. In a 4-week study on women with postpartum depression, women who diffused lavender oil in their homes had reduced symptoms of depression and anxiety compared to women who didn’t . It has no side effects or interactions with medication, which means you can use lavender aromatherapy with antidepressant medications and possibly even reduce the need for them. Much research has been done on the effects of lavender oil on anxiety symptoms, both when taken orally and inhaled. In one study, 80 milligram capsules (about ½ teaspoon of oil) containing lavender essential oil reduced symptoms of anxiety, depression and insomnia . Another study found it worked better than the anti-anxiety drug paroxetine in treating generalized anxiety disorder . More research found it to be effective for people with post-traumatic stress disorder (PTSD) . Studies on the effects of lavender oil on people with insomnia have revealed the way it works to reduce stress, anxiety, restlessness and problems sleeping. Simply by inhaling it, you’re able to lower your levels of the stress hormone cortisol. High cortisol levels are linked to tension, anxiety and sleep deprivation. In a study on college students with sleep issues, 5 nights of lavender oil administered through an inhalation patch on their chest led to better sleep quality and feeling more refreshed in the morning . In a 2-month study, postpartum women who left a cotton ball containing lavender oil next to their pillow at night had better sleep compared to a control group . The medicinal compounds in lavender oil cross the blood-brain barrier when inhaled, including antioxidant compounds that protect the brain against free radical damage. Free radical damage, or oxidative damage, is a known contributor to the progression of Alzheimer’s disease, dementia and age-related cognitive decline. Research has linked lavender oil aromatherapy to the prevention of neurodegenerative diseases, and even shown it helps treat neurological dysfunctions like stroke and brain injuries [7, 8]. Lavender oil has had a place in folk medicine for generations due to its ability to help heal burns, cuts and scrapes while preventing infections. It speeds up the healing process by increasing the production of collagen–the structural protein that helps form of new tissue . Meanwhile, the antimicrobial compounds in lavender oil help keep wounds clean as they heal. Lavender oil is a safe, natural alternative to chemical-based acne treatments. It’s one of the safest oils for topical use, so you can apply it directly to the site of a zit, pimple or acne lesion to kill bacteria and reduce inflammation. To add lavender oil to your daily skincare routine, dilute 12 drops of it in 1 ounce of witch hazel and apply the mixture as a toner after washing your face. It has an astringent action that shrinks pores and reduces excess oil production, which can help prevent acne breakouts. Lavender oil can down-regulate your body’s response to allergens, which helps treat symptoms of hay fever and allergies. It also reduces the swelling that can occur in some allergic or asthmatic reactions. You can get these effects whether you take it internally, apply it to your skin or inhale it . If you get an allergic reaction on your skin, apply lavender oil directly to the site or combined with a carrier oil. Another way you can use lavender oil topically is to relieve pain and reduce inflammation. Whether you have arthritis, sore muscles or muscle pain, applying it daily can help you manage it . It’s even shown to relieve menstrual cramping and pain when applied to the site of the pain . Applying lavender to your scalp will help your hair grow faster and healthier, according to studies . By cleansing the scalp, it can treat dandruff and unclog hair follicles so that new hair strands can emerge. It also stimulates hair follicles by increasing the circulation of blood, allowing nutrients to flow into them. Adding lavender oil to your shampoo and conditioner, or massaging it into your scalp before you wash your hair, can help you grow longer, stronger hair. Because stress, anxiety, insomnia and depression are all associated with hair loss, even the aromatherapy benefits of lavender oil could translate to better hair. Because lavender oil is gentle on the skin, you can use it to massage your temples and neck to get its aromatherapy benefits. You could also diffuse it or add it to bath water. 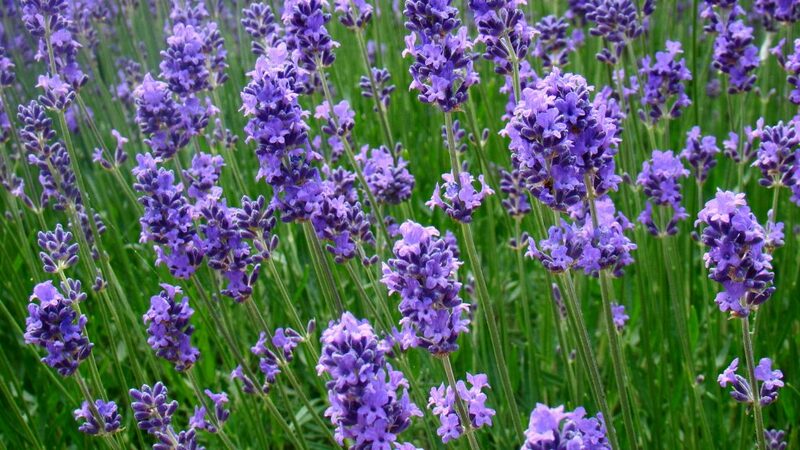 Lavender is considered safe for children. However, it’s not recommended for pregnant women because it stimulates menstrual flow and could raise the risk of miscarriage. Not all essential oils are safe to take internally, but you can ingest lavender oil in small amounts. While people have ingested as much as ½ teaspoon of lavender oil daily in research studies, these higher doses can cause gastrointestinal discomfort. Keep in mind that essential oils contain high concentrations of volatile plant chemicals, so you can benefit from them simply by inhaling their aroma. If you want to take lavender oil internally, 3 drops a day is a reasonable dose that delivers plenty of benefits.